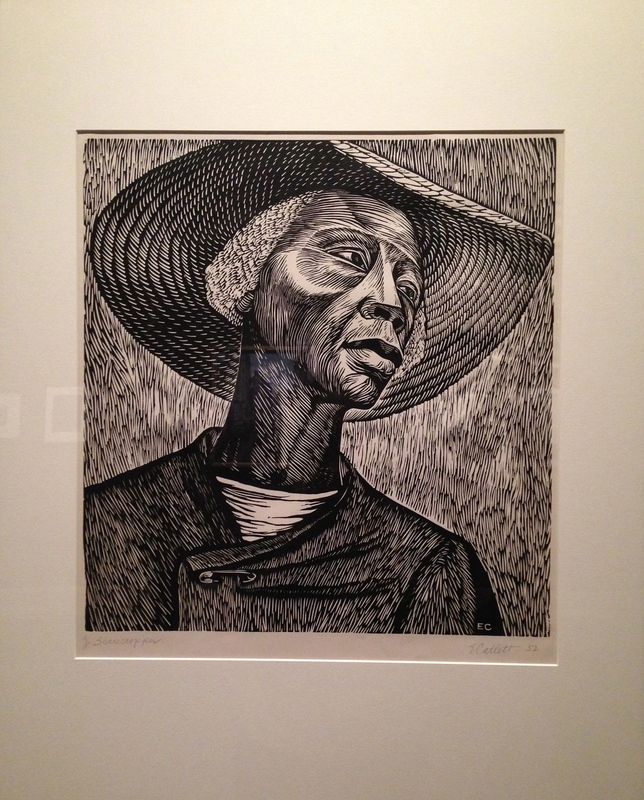 In November I saw “Sharecropper” by Elizabeth Catlett at LACMA. I loved the depiction of the duality of strength and despair shown as byproducts of exploitation in this piece. As a graphic designer and sculptor in the 30’s and 40’s, much of Catlett’s art highlighted African-American and Mexican women as caretakers, patriarchs, workers and nurturers; her work was used as a platform for social commentary. In the 40’s the artist moved to Mexico City where she continued to express her activism by working with with the mural and graphic artist collective, El Taller de Gráfica Popular. During this time she was arrested during a railroad workers strike and she was declared an undesirable alien by the State Department in 1949. She subsequently became a Mexican citizen and remained in Mexico until her retirement in the 70’s and her death in 2012. Her sculpture work is reminiscent of Brancusi or Henry Moore but the strength of her conviction and the power of her subjects reflect a style and technique that stands on it’s own.